A new year means a new heartwarming charity! For the month of January, we want to give a shout out to a Toronto foundation who is in it totally for the heart! An organization that is accomplishing large strides to bring awareness to the heart and fundraise money for research, assistance, and education. 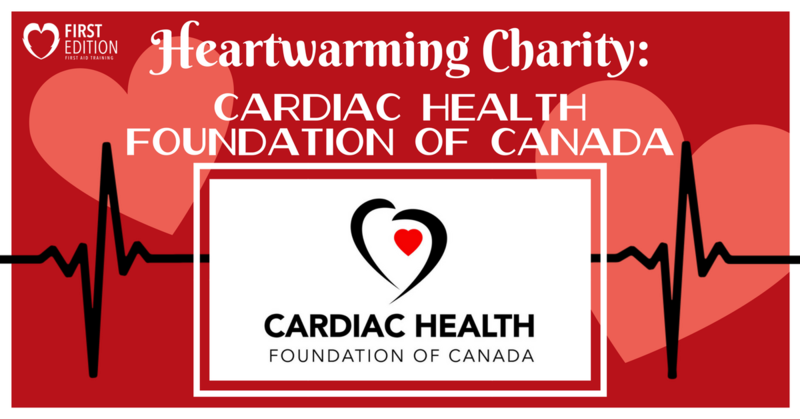 Our featured heartwarming charity of the month is the Cardiac Health Foundation of Canada! The primary goal of the Cardiac Health Foundation is to bring awareness and educate the public on heart issues. The foundation has 8 different scholarships, they offer free public lectures, as well as sponsor the annual Terry Kavanagh Lecture. Using education as well as a dynamic interactive website, the Cardiac Health Foundation strives to ensure that the public is aware of news and updates within the heart health realm. With educating the public, it is hoped that heart health will improve through awareness and preventative measures. Through numerous donations, sponsors, and ‘Walk of Life’ charity events, the Cardiac Health Foundation of Canada has raised roughly $11 million dollars to go towards a number of heart related causes. These causes include scholarships, educational programs, public awareness, and funding for facilities, research, and equipment as stated by their website. Join Canadians in preventing and recovering from heart disease! Heart disease can affect anyone, and that is why the Walk of Life event occurs every year. This heartwarming event works to bring awareness to heart health problems. You have the option to walk 1, 3, or 5kms, or run 5 or 10kms! Participate with the whole family at this engaging event and support the heart! Understanding the different heart health issues and learning how to prevent them. Living a healthier lifestyle with more exercise and a healthier diet. Encouraging public education on heart health. Educating those of all ages to live healthier lives and protect our hearts! 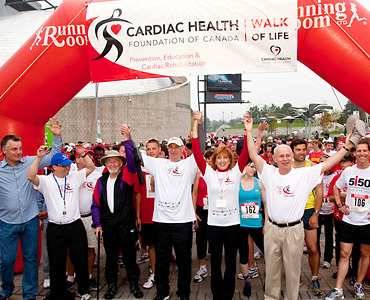 It all comes back to the heart, and that is why we support the Cardiac Health Foundation of Canada for their hard work. We are so thankful that heart protection is being encouraged by this foundation and hope that together, we can make our world a healthier place!